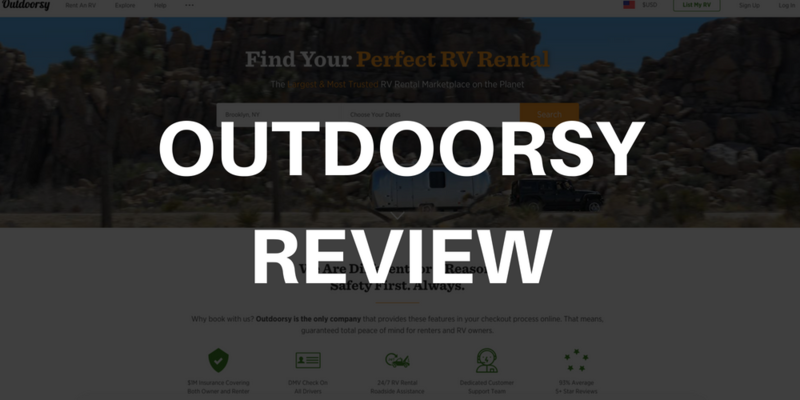 Home RV Rentals	Outdoorsy Review – Is This A Trusted RV Rental Site? Outdoorsy is an online platform where motorhome owners and renters come together in one place. Owners can rent out their trailers when they’re not using them. If you’re the proud owner of a motorhome, why not make some extra cash on the side using a peer-to-peer marketplace? Outdoorsy has a wide range of available home rigs which include cool Fivers to fully-restored Airstreams. The online list is divided into RV class categories such as Class A, B, C, Pop-Ups, Truck and Van Campers, Vintage and Stationary Trailers, Fifth Wheels, Park Models, Travel Trailers and even Tow Trucks too. Most trailer owners aren’t using their mobile homes 365 days a year. Their RV sits idle and gathers dust while being parked in the driveway. Now that you have a platform where you can rent out your trailer, why not put it to good use? The RV owner may list up their trailer home up on the Outdoorsy website. There are fields from where they can upload helpful photos, come up with smart or helpful descriptions and list their rental price per night. It’s akin to listings that can be found in popular room and home rental sites such as AirBnB, etc. Now you might have a few concerns regarding renting out your mobile trailer home to strangers, with the most common ones being “Is it safe to let strangers stay in the RV?” “Why would you risk such a thing?” and “Are you worried they might drive your RV irresponsibly?” The answer is simple. RV owners should go with a reputable site. You can have it parked at an RV place or rent a storage unit when you’re not using it, or have it rented and make a bit of money on the side by listing your motorhome on Outdoorsy. The good thing about Outdoorsy is that once an offer comes you’ll have the right to refuse it. If the renter isn’t that experienced about RV homes and vacationing in particular, or if there’s an RV model that will better suit their needs, you can respectfully decline and wait for the next one. RV owners get 80% of the reservation costs and add-on charges, which include generator fees and excess mileage if applicable. Each year the travel industry is booming, and sometimes vacationers feel the need to travel in style. This is where motorhomes come in. Other people want to try out living the RV lifestyle before jumping in and buying their own unit. Outdoorsy allows renters to get a taste of mobile living before they fully commit. RV renters are mostly from the millennials group who want to try out living in the great outdoors and experience a nomadic lifestyle. The idea is attractive to this certain age group because it frees them and it’s kind of romantic, to boot. Plus, more and more people are now going out and having outdoor trips to “get away from it all”, i.e., the stresses of modern life and corporate work. The customers of Outdoorsy are many and varied. There’s the millennials, the international travelers, weekend warriors, sport fanatics, large families, retired couples, etc. Renting in Outdoorsy is relatively simple. You’ll have to go through and submit to a background check to ensure you haven’t violated any DUI or traffic violations. Once you click on “register”, an email will be sent on how to complete the process. Renters won’t need to have a special license if the RV you wish to rent isn’t in excess of 45 ft. or 10,000 lbs. If your plan is to rent out a 45-ft luxury home on wheels then it’s recommended that you speak with the owner of one and be able to present your commercial driving experience and the appropriate license. Renters in the Outdoorsy site are charged a 10% service fee, which is based on total costs of reservation. Daily charges are $10 for towable motorhomes and $15 for driveable trailers. Keep in mind that tax is added on top of these costs. Sometimes you can get delivery and set up options depending on the owner of the RV, but expect to pay extra for it. Outdoorsy users who want to rent their next RV must first put in the city where they live and indicate the dates where you plan on using the motorhome. Put them in the search fields and hit the “enter” button and you’ll be shown a list of compatible trailers that may suit your needs. Click on any one of the RVs and a profile page will come up. You’ll then be shown detailed information about the particular mobile home, including the specs, the owner and a photo of the said trailer. You’ll see renting quotes and a huge “Request Booking” option on the side of the page. 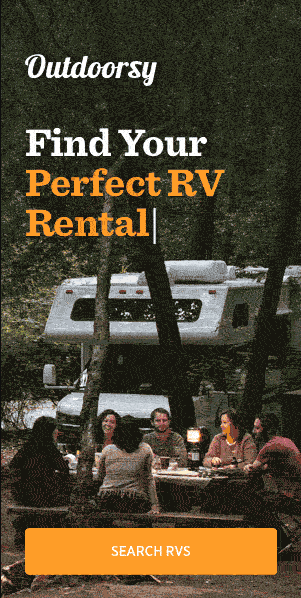 Once you’ve booked a particular RV Outdoorsy shows you a list of compatible motorhomes. You’ll be asked if you wish to get the Coach-Net Vacation Care Plan which can be bought for $15 per day. Once booking is confirmed you’ll be taken to the add-ons process and roadside assistance or change your mind and opt out of the Coach-Net service. When you do decide to opt in you’ll receive an email with the membership ID and other pertinent details 24 hours before the reservation date. RV homeowners will receive a notice (usually via email) that a renter is interested in booking their trailer. They can then cross-reference the dates needed and choose the pick-up time and day with the renter. Owners are given 24 hours to approve the booking request and consider if the rental dates work for them. When the reservation is finalized the renter is charged the full amount for the RV rental. The funds are held by Outdoorsy for around 24 hours once the RV is confirmed as “picked up”, then released to the owner’s bank account. Outdoorsy renters may pay the reservation deposit once the RV owner approves of the booking request. Renters will be given a “tour” of the rig and will be shown how the amenities work, notes, etc. Some common lessons include how to get the slides out, level the RV, start the generator and rig the RV for boondocking. Generator hours and mileage are recorded. Renters will be required to clean the RV, top the gas and pay for extra mileage before returning the RV. Renters must pay attention to several aspects of running an RV, like going over the rules, the mileage fees, and the generator fees. The renter must know what to do if they plan to rent out the RV for more than one month at a time or when they need to cancel or extend a booking. Furthermore, important details such as drop-off and pick-up locations and times must be duly noted. Outdoorsy renters are liable for any damage to the motorhome once it’s picked up or delivered. Fill out the RV Return Form with the owner to get a timestamp on the overall condition of the motorhome before and after the rental period. Outdoorsy provides $250,000 for comprehensive collision damage and $1M for liability insurance coverage during the length of the rental. What’s not covered are certain things such as interior damage and damaged caused in a non-collision event. You can check what your insurance covers and what you’ll be responsible for when you’re out on the road. For minor damages that are less than the $1,500 deductible, the renter will have to cover the full payment as charged by Outdoorsy. For RV damages that are lower than the security deposit then the RV owner can take the amount from the deposit and the rest from the renter. For additional information regarding insurance coverage, you may visit the Outdoorsy support. As of the moment, there are 3 standardized cancellation policies- Moderate, Flexible and Strict. Take a look at what each one does and how one is different from the others. Moderate – Renters may ask for a cancellation 7 days prior to the pickup date and get refunded 75% of the total costs minus service fees. 50 percent of the reservation costs are fully refundable if you choose to cancel within 7 days on your RV trip. Flexible – Renters may ask for a cancellation 5 days prior to the pickup date and get refunded 100% of the total costs minus service fees. 75 percent of the reservation costs are fully refundable if you choose to cancel within 5 days on your RV trip. Strict – Renters may ask for a cancellation 14 days prior to the pickup date and get refunded 50% of the total costs minus service fees. You can cancel within 14 days on your RV trip but the reservation will be non-refundable. Paperwork is simplified. Money transfers and added work are all done by Outdoorsy. You get an insurance policy that covers your RV for $1 million. Great customer service. Responds to queries in a timely manner. Optional RV setup and delivery is included. Not all listed RVs are pet-friendly. Make sure to check the listings if you have a pet. Mileage adds to the engine, although you’re paid for it and any extra. This concept of renting out RVs is nothing new, but rental companies mostly sport corporate mobile homes with numerous logos plastered on the sides. Outdoorsy paves the way to having a great vacation in a real RV, which is a lot better and more spacious than any corporate RV rental out there.